As part of our ongoing celebration of 50th and 75th Anniversaries of the World’s Fairs held in Flushing Meadows Corona Park, the Queens Museum has organized the exhibition Behind the Curtain: Collecting the New York Fairs which reveal little known artifacts and souvenirs drawn from national and regional private collections, as well as the museum’s own. Louise Weinberg, Registrar, Archives Manager and Curator of the exhibit has invited several speakers who share their own history of collecting, as well as focus on both the history and potential future of the iconic New York State Pavilion. Join us in our theatre for this wonderful set of presentations no World’s Fair aficianado should miss! 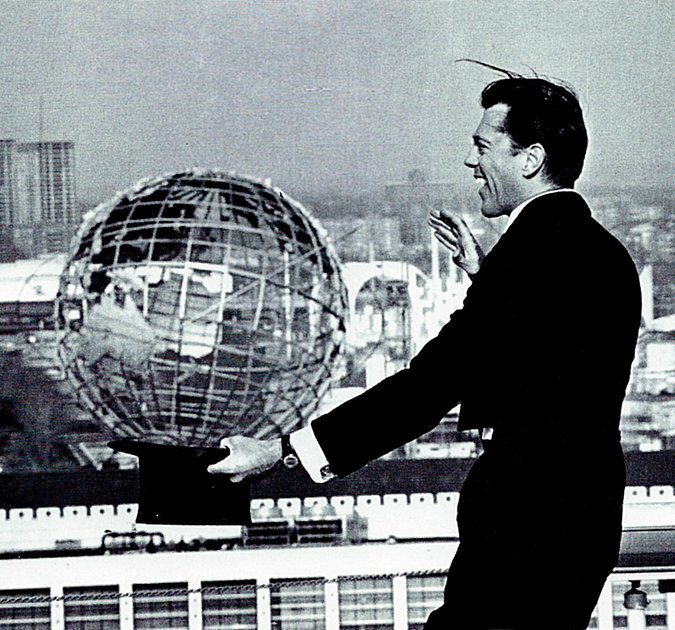 Riccardelli is one of the world’s foremost collectors of New York World’s Fairs artifacts. His impressive collection, numbering in the thousands, centers on the authentic artifact and its provenance “ from the visitor’s book signed by King George VI and Queen Elizabeth at the 1939 fair to five photo albums documenting the design and construction of the 1964-65 Kodak Pavilion. Webber’s father, Harold Thomas Webber, was 25 years old in 1939 when his twin passions for railroads and photography brought him to volunteer at the Railroad Pavilion. This granted Webber an unlimited two year admission pass, allowing him the freedom to roam the grounds, and produce an impressive body of work. Henry Webber still shoots with his father’s camera and will show other works from the series. Herb Scher has hosted panels on Magic at Lincoln Center and has written on the subject for the New York Times. Images and historic materials from the archives of the Society of American Magicians, a 105 year old professional membership organization whose first president was Harry Houdini, provided by Tom Klem, archivist. Kellberg has just completed the definitive text on the New York State Pavilion published by Arcadia Press. Kellberg’s website, wideimaging.com, highlights his work with the Hasselblad Super Wide Camera to document and record his interests in history, architecture, communities and landmarks preservation. 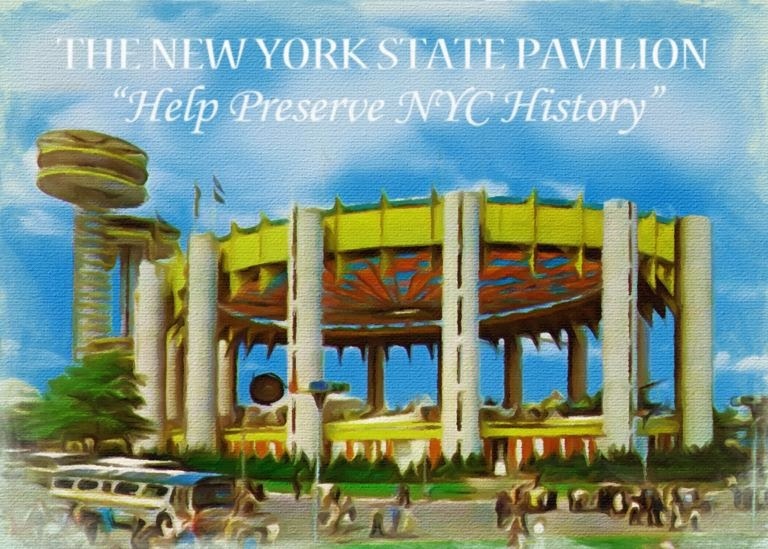 People for the Pavilion is a volunteer-run advocacy organization that aims to preserve and ultimately develop a sustainable reuse plan for the New York State Pavilion, and to develop a vibrant community around the structure. In order to create a truly collaborative effort that takes into account the input of all stakeholders, PFP also reaches out to individuals, organizations, and institutions about the preservation effort, particularly those based around Flushing Meadows-Corona Park. Find out how you can be involved. 3:30pm: Light Refreshments & Book signing with Christian Kellberg. In the adjacent Werweiss Gallery.